This new update allows you to see Link Previews in both the Week and List views. 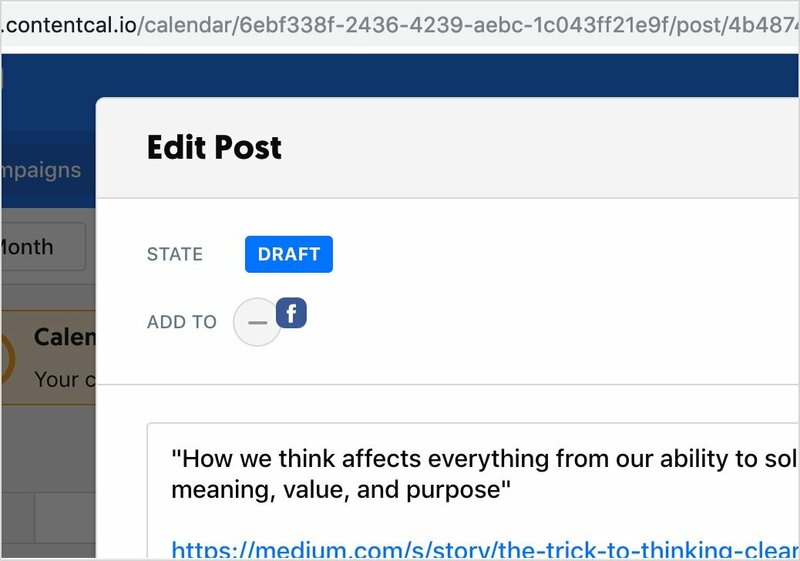 You can now open the post modal for any post in the Calendar Views, and copy and paste the URL. This unique URL will take you or anyone else in your Organisation directly to the post. 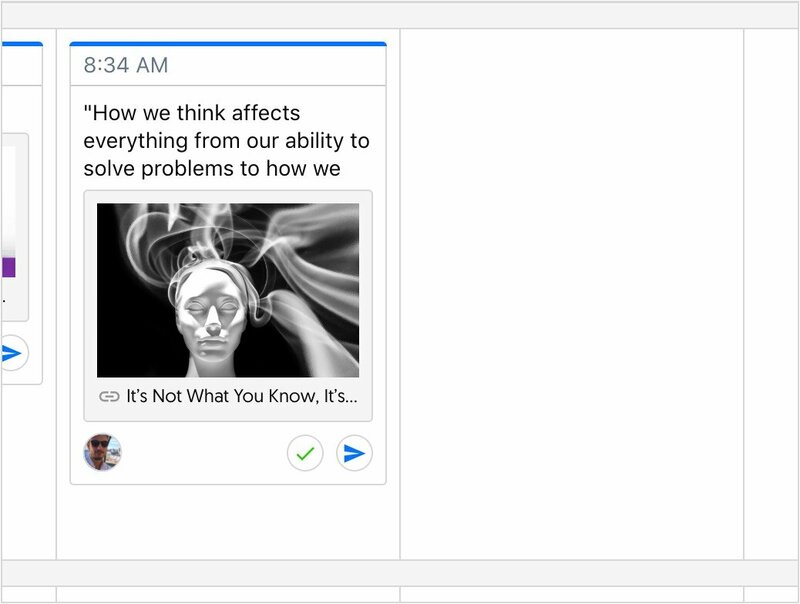 So you can now bookmark posts, share to Slack, etc etc. 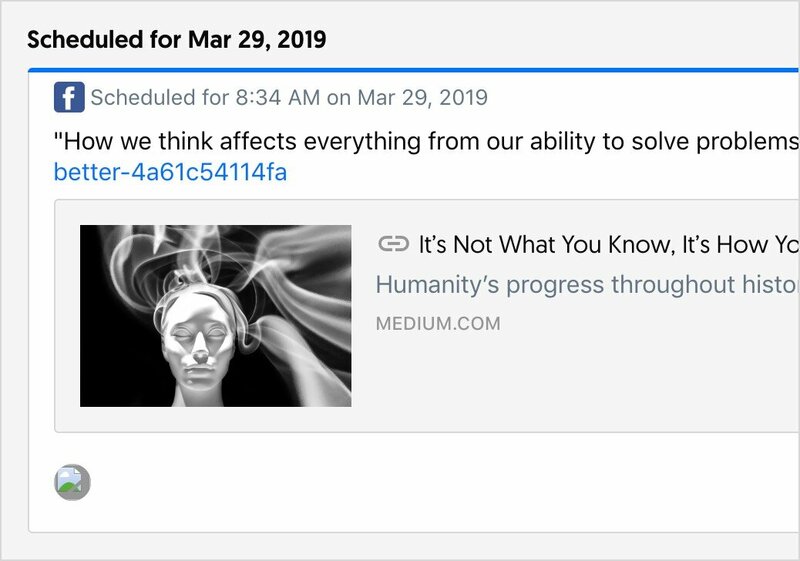 We will also be re-factoring all our email templates so that emails can link you to specific posts too, rather than just to the Calendar. We've re-designed the signup journey from your feedback. It's now much clearer that the invited user is joining your team, rather than generically signing up.